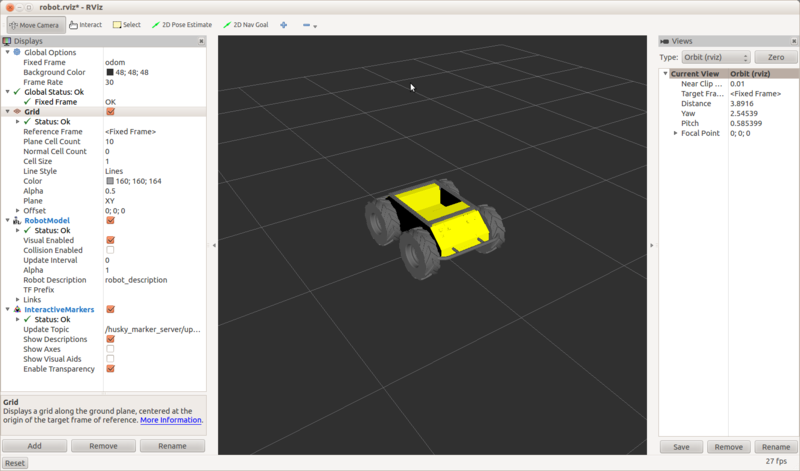 In the previous ROS 101 post, we showed how easy it is to get ROS going inside a virtual machine, publish topics and subscribe to them. 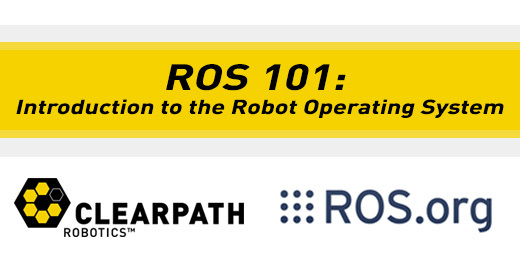 If you haven’t had a chance to check the out all the previous ROS 101 tutorials, you may want to do so before we go on. 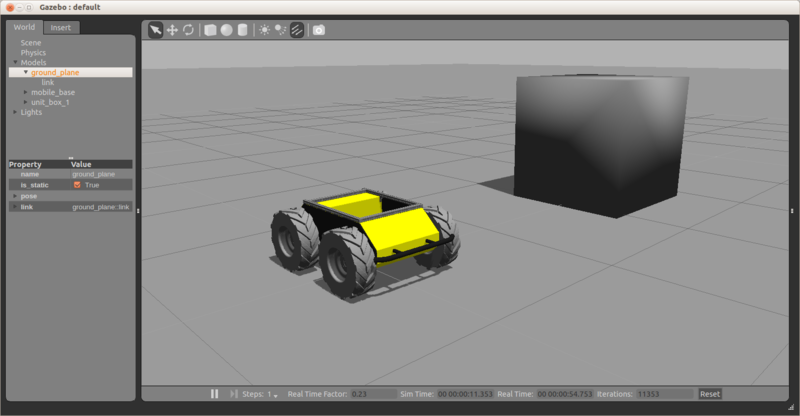 In this post, we’re going to drive a Husky in a virtual environment, and examine how ROS passes topics around. If you just downloaded the updated version above, please skip the next section. If you have already downloaded it, or are starting from a base install of ROS, please follow the next section. The first window shown is Gazebo. This is where we get a realistic simulation of our robot, including wheel slippage, skidding, and inertia. We can add objects to this simulation, such as the cube above, or even entire maps of real places. The second window is RViz. This tool allows us to see sensor data from a robot, and give it commands (We’ll talk about how to do this in a future post). RViz is a more simplified simulation in the interest of speed. In the above command, we publish to the /husky/cmd_vel topic, of topic type geometry_msgs/Twist, at a rate of 100Hz. The data we publish tells the simulated Husky to go forwards at 0.5m/s, without any rotation. You should see your Husky move forwards. In the gazebo window, you might notice simulated wheel slip, and skidding. The highlighted node and arrow show the topic that you are publishing to the simulated Husky. This Husky then goes on to update the gazebo virtual environment, which takes care of movement of the joints (wheels) and the physics of the robot. The rqt_graph command is very handy to use, when you are unsure who is publishing to what in ROS. Once you figure out what topic you are interested in, you can see the content of the topic using rostopic echo. In Ros, tf is a special topic that keeps track of coordinate frames, and how they relate to each other. So, our simulated Husky starts at (0,0,0) in the world coordinate frame. When the Husky moves, it’s own coordinate frame changes. Each wheel has a coordinate frame that tracks how it is rotating, and where it is. Generally, anything on the robot that is not fixed in space, will have a tf describing it. In the rqt_graph section, you can see that the /tf topic is published to and subscribed from by many different nodes. This will bring up the following image. Here we can see that all four wheel are referenced to the base_link, which is referenced from the base_frootprint. (Toe bone connected to the foot bone, the foot bone….). We also see that the odom topic is driving the reference of the whole robot. This means that if you write to the odom topic (IE, when you publish to the /cmd_vel topic) then the whole robot will move.